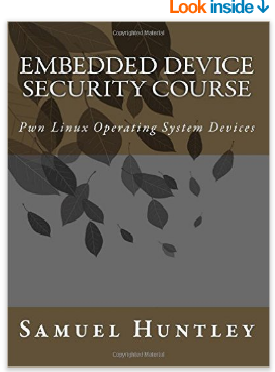 This course is an introduction for the reader into the wonderful world of embedded device exploitation.The course is supposed to be a tutorial guide that helps a reader understand the various skills required for hacking an embedded device. As the world is getting more and more into the phenomenon of “Internet of Things”, such skill sets can be useful to hack from a simple intelligent light bulb to hacking into a car. 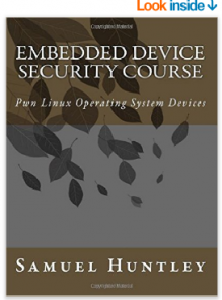 This course book goes into details of exploiting MIPS and ARM based devices. Also it focuses on teaching how to bypass DEP and ASLR protection in embedded devices.